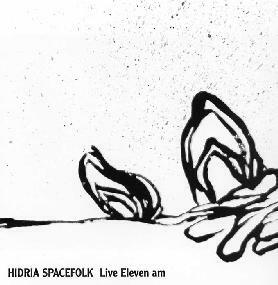 Hidria Spacefolk - "Live Eleven AM"
The great instrumental Finnish space rockers are back with an amazing (but not totally spaced out) like show from their only performance in the USA last summer. The band played at 11 in the morning, thus the name of the CD. Sound quality and mix is quite amazing and a great line up of tracks on this one, including all but one of the tracks from their Balansia CD, as well as two tracks from Symbiosis. It is great to hear the response from the crowd, who really got to experience a unique band from our part of the world and also very different from the progressive rock bands that played at this festival. Great to see the festival arrangers open to this type of music. If you like space rock, then this is a must own CD!